ITClinical's Electronic Data Capture (EDC) solution centralizes access to clinical trial's patient data. The ability to handle multiple clinical trials simultaneously makes it the central stop for clinical trial patient collection and retrieval. A Phase I module boosts the base EDC solution with features that will increase work performance for Phase I CROs. This tool is part of ITClinical's pharmaceutical portfolio and it incorporates the company's philosophy: making life easier for our partners. By complying with regulatory requirements for electronic systems the EDC replaces paper based records. The eCRF module is the central unit of the EDC system. 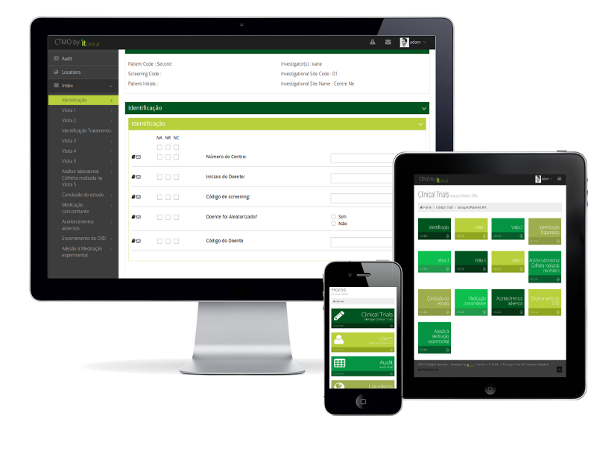 It allows users to collect and manage subject data and export it (including in PDF format for trial master file and trial report). Edit checks can be configured per trial to issue automatic warnings or to show/hide questions when relevance depends on the context. Issue and reply to queries from within the system for faster turnaround times. The query tool can be used by QA and/or trial monitors to streamline the process and increase efficiency. In-form query resolution improves data accuracy and streamlines the QA/monitoring process. Extensive optional configurations per clinical trial study. 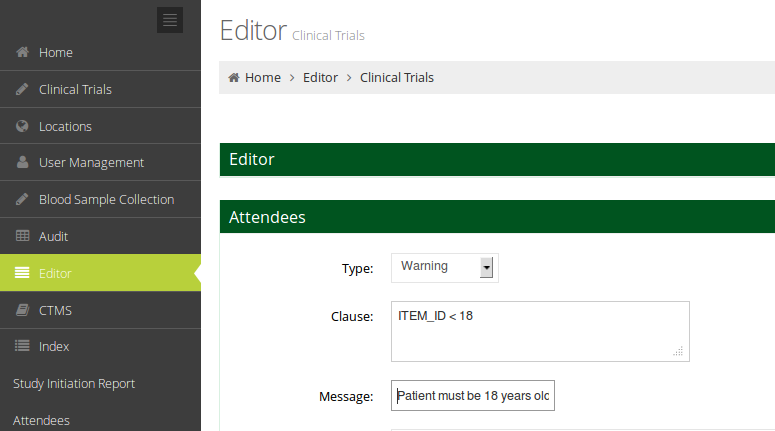 The Editor Module is aimed at CROs who want to have full control over the CRF implementation. If you prefer, our trained staff can take care of this part for you and provide you with the eCRF to fit the study's needs. CRF Design allows you to design the eCRF, from how many modules (eg. Visits) the trial will have to the questions that will appear on each page. Edit Checks can be created for each question, triggering various types of responses: show warnings to the user, show/hide other questions and answer other questions automatically. A thorough audit trail system registers every change in the system. A flexible authentication and authorization system allows restricting access to the system and to the functionalities each user can perform. By collecting data as electronic source data, transcription errors decrease and trial data accuracy is optimized. ITClinical can adapt its base product to meet specific requirements, tailoring the application to your needs. Instead of offering a fully fledged solution, we try to understand what you need and provide you with a customized, cost-effective solution. 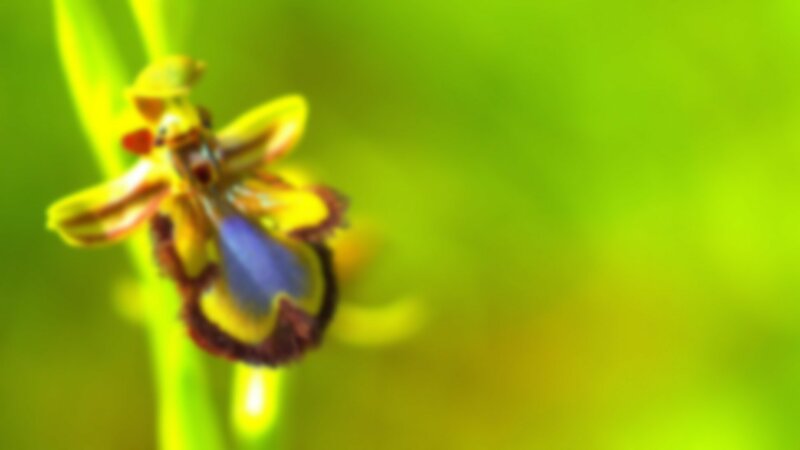 Running on Linux servers, this also means there will be no increased licensing costs. Phase I trials possess different challenges when EDC is concerned. With shorter life-cycles and similarities between studies, CROs can take advantage of our Phase I module to improve productivity in the fast-paced Phase I world. With the eCRF library you can build your eCRF templates and use them multiple times as the base for new CRFs with a click of a button. This allows you to set up a new clinical trial in minutes instead of days! Retrieving sample collection times is performed in fast-paced conditions - usually with seconds between each sample collection for a volunteer group. The usual eCRF view per subject is not adequate to these conditions. With our Phase I module, you will be able to see subject data grouped by collection point, so you can use the EDC in real-time, on the ground as you're collecting the samples! An optional volunteer database can help you keep track of all your volunteer data. This means faster access to volunteers and the ability to reduce data management of information you've already collected.